#10 GET PLENTY OF REST #9 Make your morning as stress free as possible. 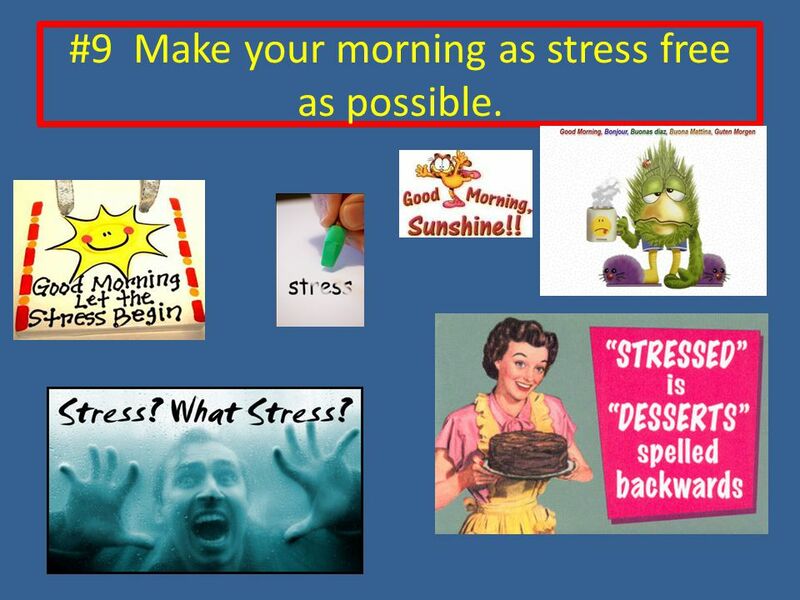 3 #9 Make your morning as stress free as possible. 4 Protein– it does a body good! 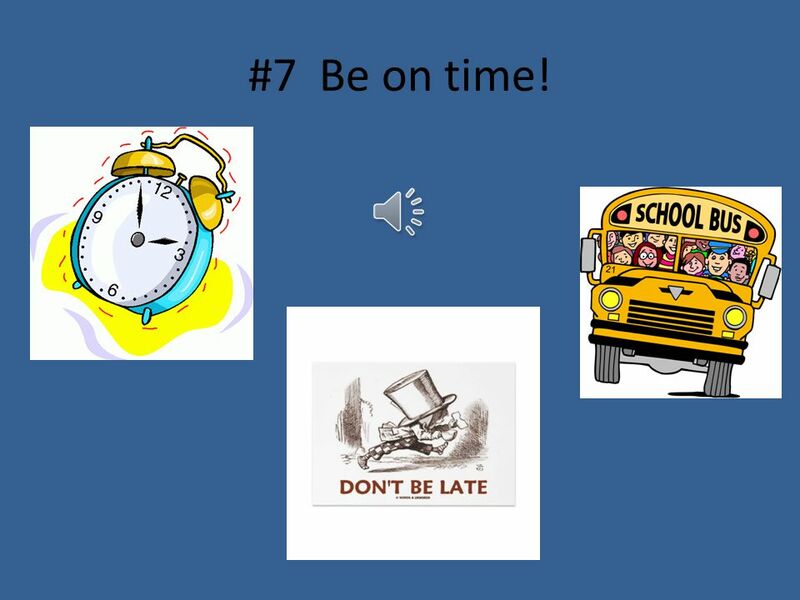 5 #7 Be on time! 6 #6 Come prepared with #2 pencil, jacket and book. 8 #4 Eliminate obviously wrong answer choices to increase your chances. 9 #3 Bubble in the best answer choice neatly. 10 #2 Never skip an answer. 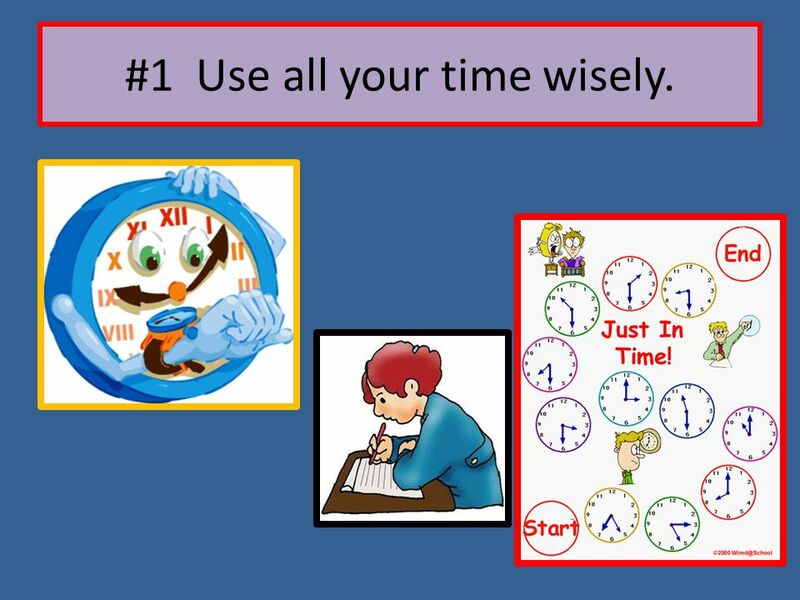 11 #1 Use all your time wisely. 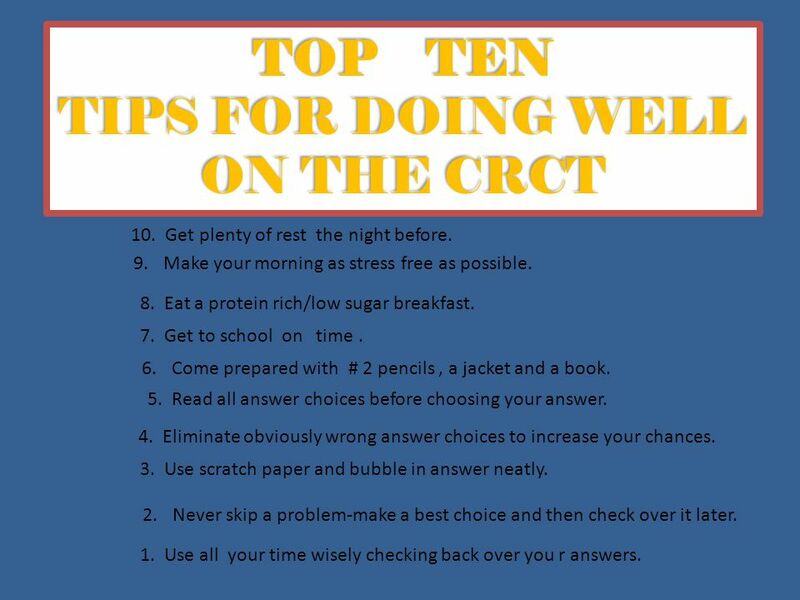 12 TOP TEN TIPS FOR DOING WELL ON THE CRCT 10. Get plenty of rest the night before. 9.Make your morning as stress free as possible. 8. 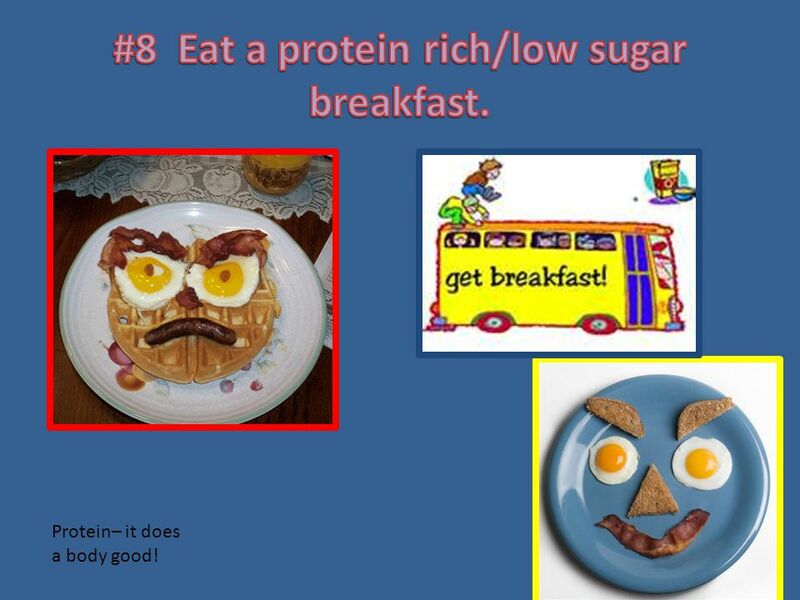 Eat a protein rich/low sugar breakfast. 7. Get to school on time. 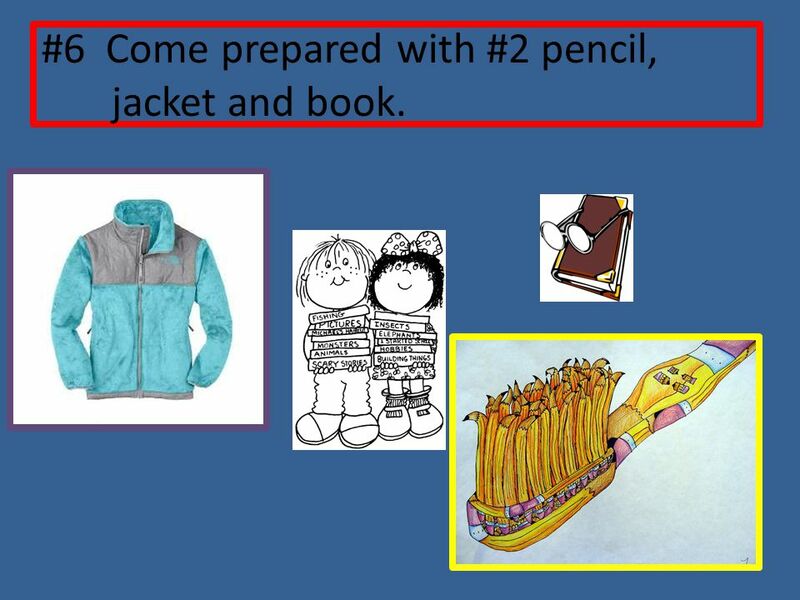 6.Come prepared with # 2 pencils, a jacket and a book. 5. Read all answer choices before choosing your answer. 4. 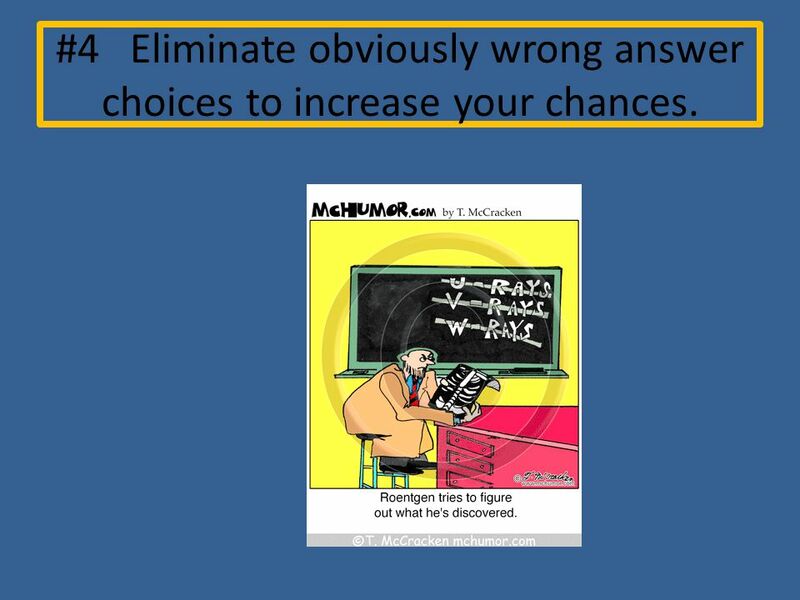 Eliminate obviously wrong answer choices to increase your chances. 2.Never skip a problem-make a best choice and then check over it later. 1. Use all your time wisely checking back over you r answers. 3. Use scratch paper and bubble in answer neatly. 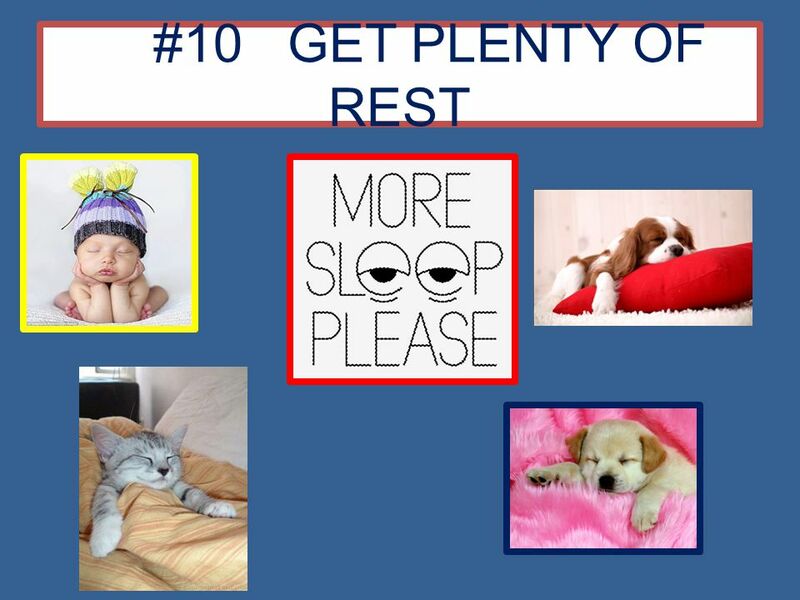 Download ppt "#10 GET PLENTY OF REST #9 Make your morning as stress free as possible." 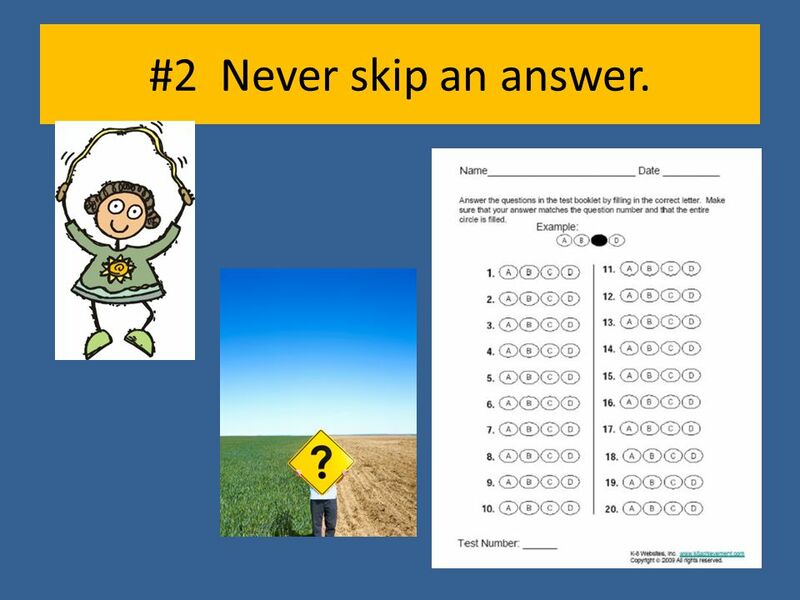 Strategies for Taking Standardized Tests …including the CAPT! Strategies for Taking Standardized Tests Twas the Night Before Testing Go to bed on time. Put a few number 2 pencils with erasers in your backpack. Solve. AES is going to ROCK the test!!!! Rock the CRCT! Tip #1: Read of the directions before you answer the question. A GUIDE TO ISAT SUCCESS TIPS FOR THE NIGHT BEFORE Have a good dinner. Have a good dinner. Be organized. Be organized. Have tomorrow’s outfit ready. Have. Strategies for Taking Standardized Tests East High School. 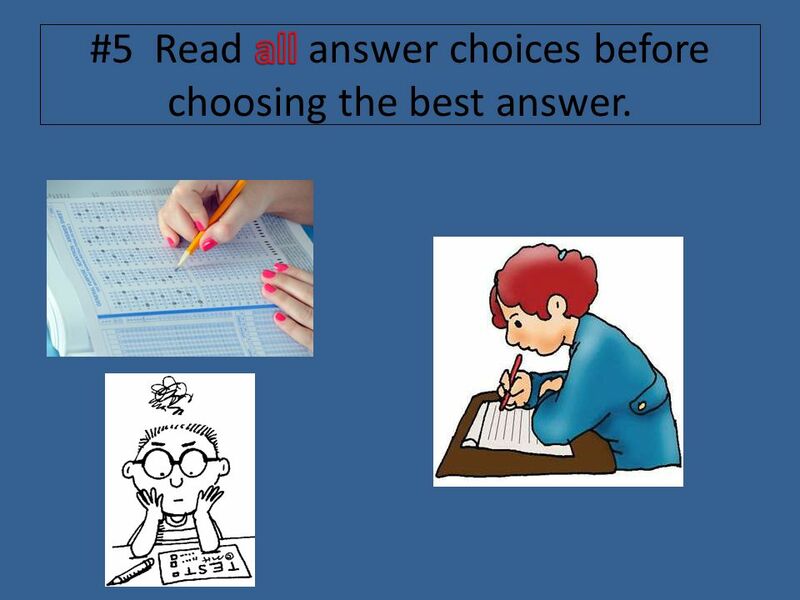 CRCT Testing Tips Tip #1 Read ALL of the directions before you answer the question. Strategies for Taking Standardized Tests ‘Twas the Night Before Testing Go to bed on time. Put a few number 2 pencils with erasers in your backpack. Strategies for Taking Standardized Tests. Why do we have EOG tests? It can show you how much you’ve learned this year! It helps you show your teachers. Strategies for Taking Standardized Tests. Twas the Night Before Testing Go to bed on time. Solve family or friend problems before the testing date. Talk. Test Taking Tips for the CRCT Created by Ashlynn Campbell, Area 5 Lead Teacher. ‘Twas the Night Before Testing Go to bed on time. Put a few number 2 pencils with erasers in your backpack. Solve family/friend problems before the.